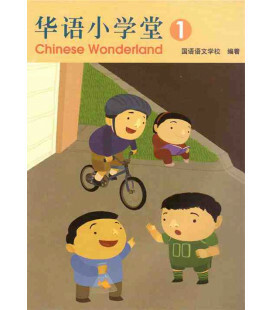 Libro de ejercicios del primer tomo de Chinese Wonderland, una serie de seis libros de texto (de momento están editados 4) dirigido a niños desde 6-7 años que empiecen a estudiar chino. 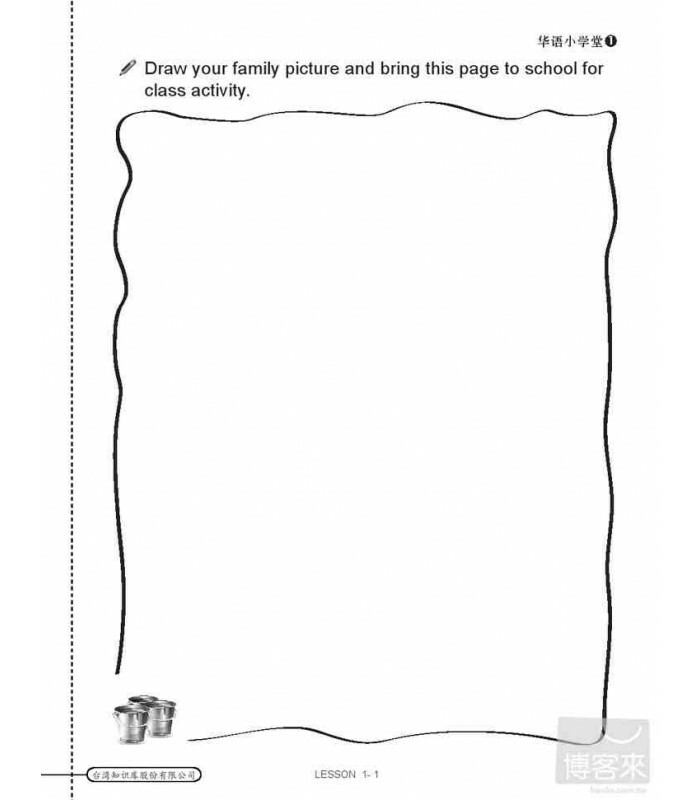 The goal of the workbook is to extend learning outside of the class. 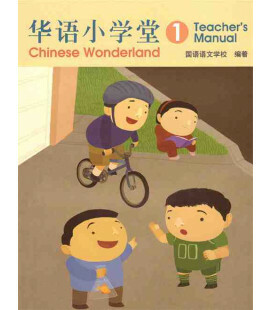 Students’ learning is therefore cyclical, so that every workbook took interweaves listening, speaking, reading and writing, and is interrelated with class activities. 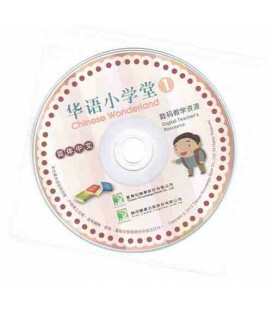 Two CDs are included for the workbook. 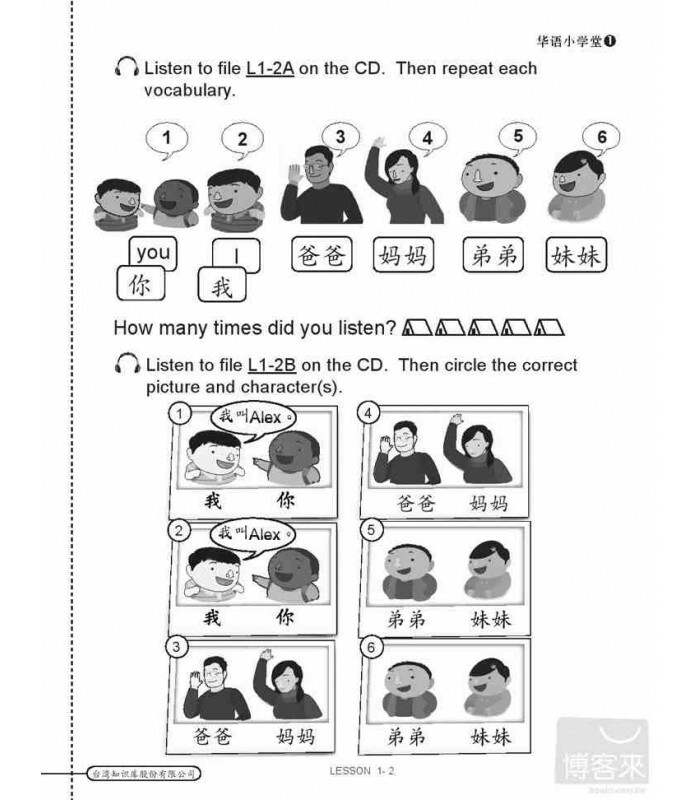 The CDs provide students with a review of class learning and practice for listening and conversations. 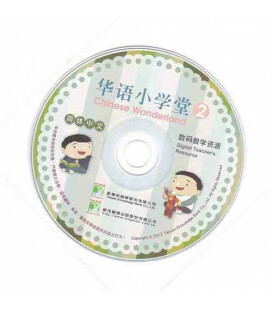 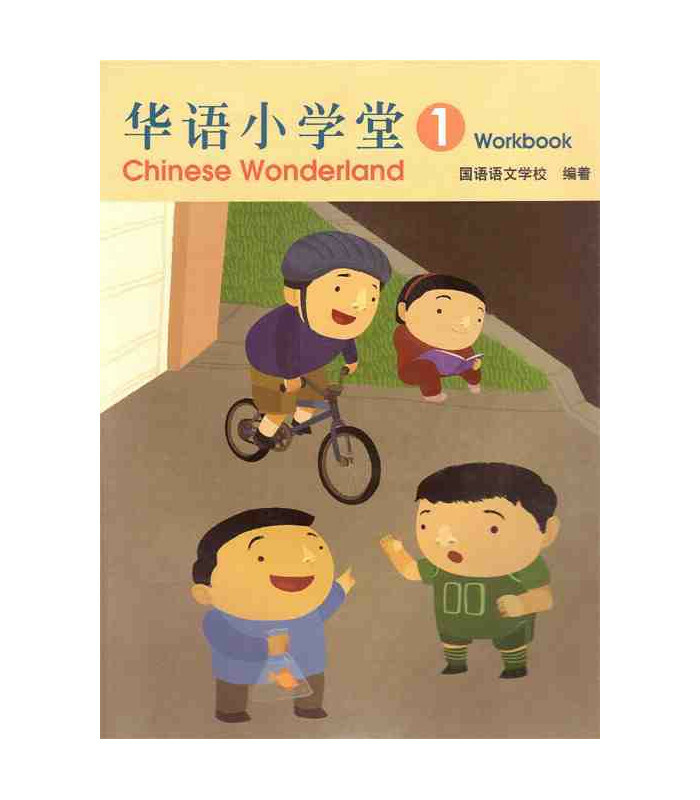 Chinese Wonderland is a six-volume text designed for young students of Chinese as a Foreign Language classes. 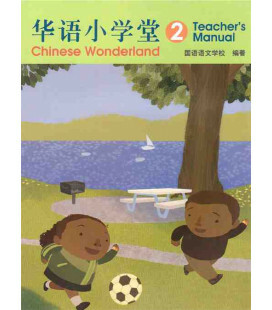 The concept and content both comply with the standard of ACTFL and World Language Content Standards for California Public Schools. 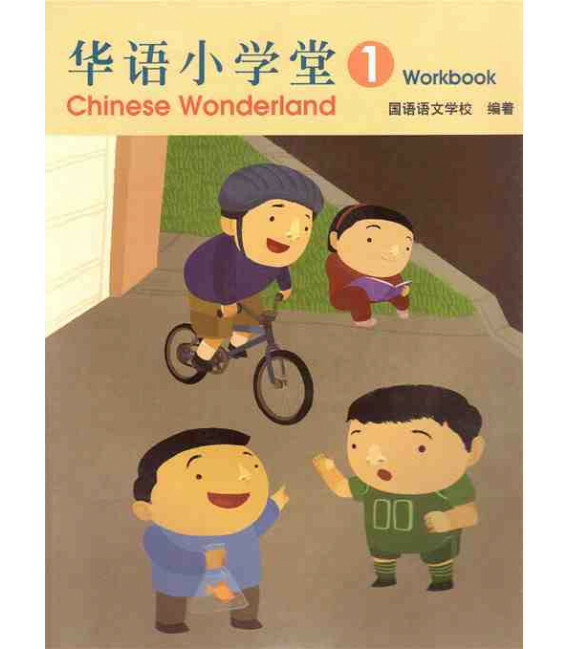 Students are enabled to continue the study of Chinese language at an intermediate level of middle school curriculum after completing six volumes. 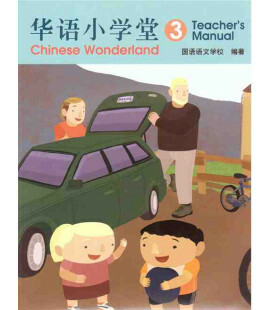 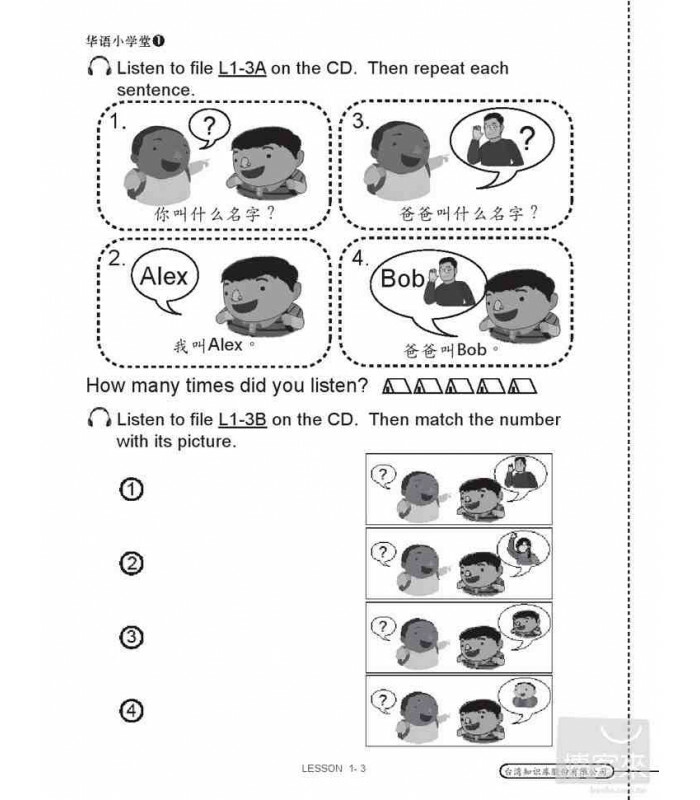 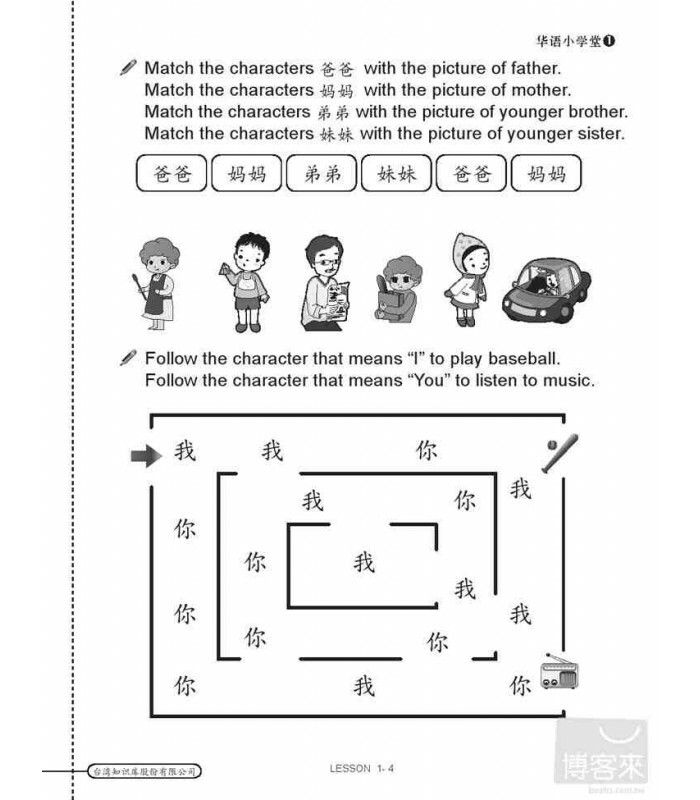 In addition, students are equipped with communicative skills and the ability to process their thinking in Chinese. 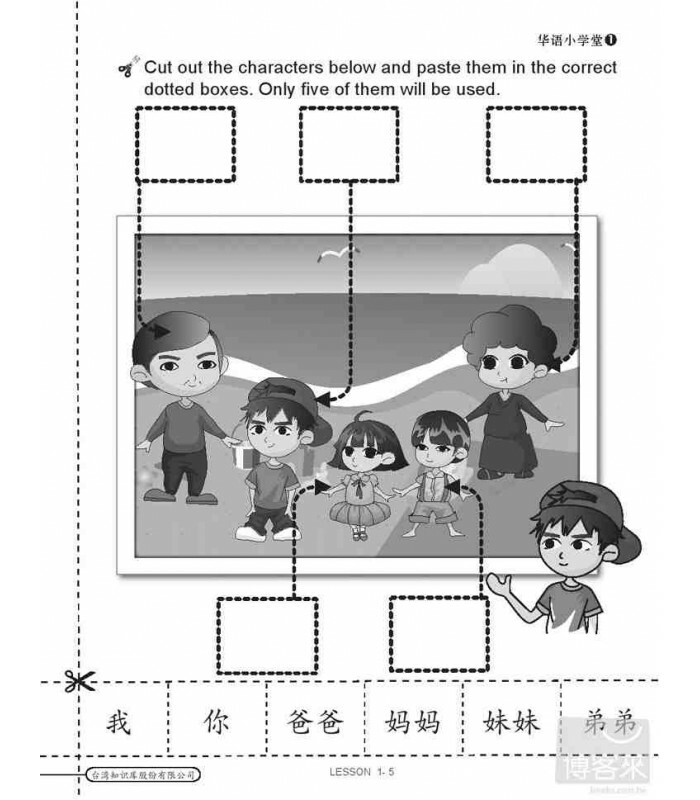 The content contains unit introduction, dialogues, vocabulary, sentence structures, classroom expressions, readings, culture notes, communicative and task-based activities, and picture this.